Groups and gatherings of 9+ require reservations. We offer a variety of tour options for groups interested in tasting experiences. For large groups looking for a more casual afternoon our table reservations are the perfect option! 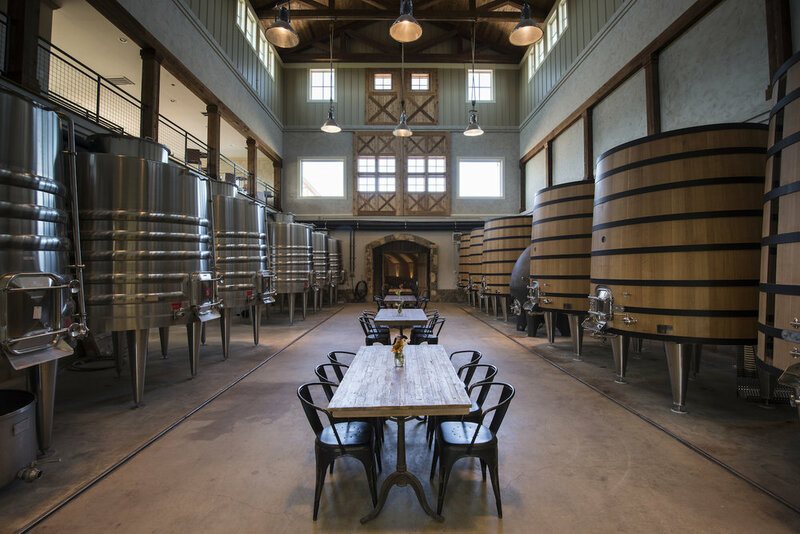 The Harvest Barn is our wonderful family friendly Tasting Room. Enjoy a tasting at one of our five bars on the lower level, or hang out and enjoy a glass upstairs under a beautiful vaulted ceiling. The spacious terrace & front lawn are the perfect space for your picnic! The Harvest Barn also sets the stage for our group reservations. Enjoy table side service and beautiful views, perfect for any gathering! Well mannered, leashed dogs are welcome to join! Guests ages 21+ are welcome to join us in our stunning Tower View Tasting Room. Enjoy a tasting at our main bar or purchase a glass or bottle to enjoy from our Marketplace, complete with gourmet snacks & gifts. Wine Club Members & their guests can also enjoy access to their exclusive space, Wild Boar Hall. Picnics are not permitted at the Tower View Tasting Room, but join us on the weekends to try our fabulous wood fired pizzas!